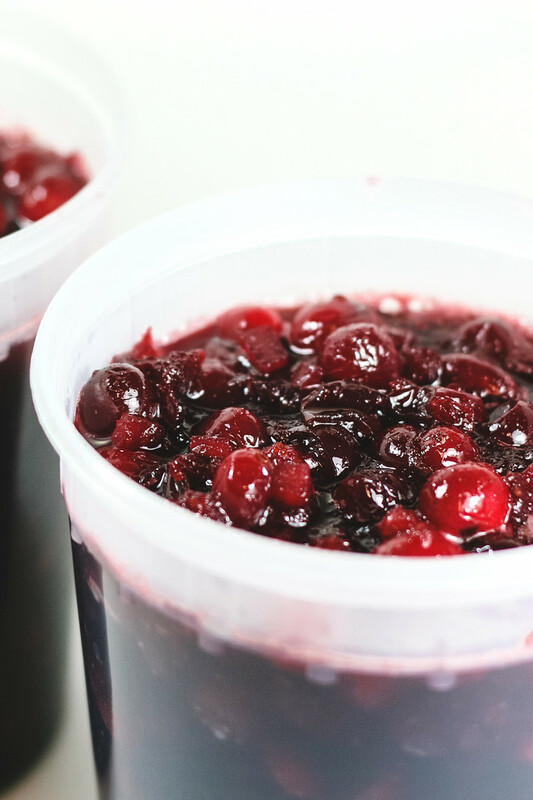 Mulled Cranberry Sauce – a fruity red wine, candied ginger, orange zest, cinnamon, allspice and cloves make this homemade cranberry sauce so amazingly delicious! 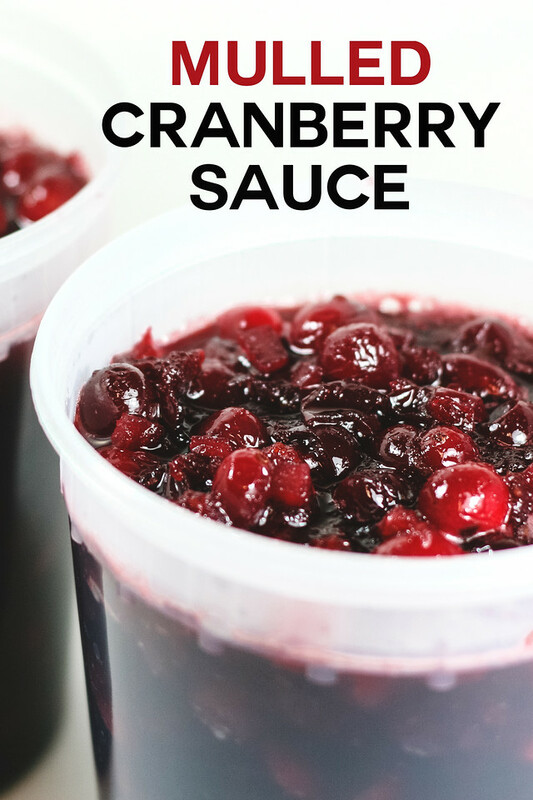 Click here to pin this Mulled Cranberry Sauce now! How do you feel about Thanksgiving food? Are you a traditionalist? Green bean casserole with cream of mushroom soup? Cranberry sauce from a can that you slice just like grandma used to do? I admit it we are traditionalists here. Oh, I’ll vary a little here a little there, but mainly it doesn’t change much. 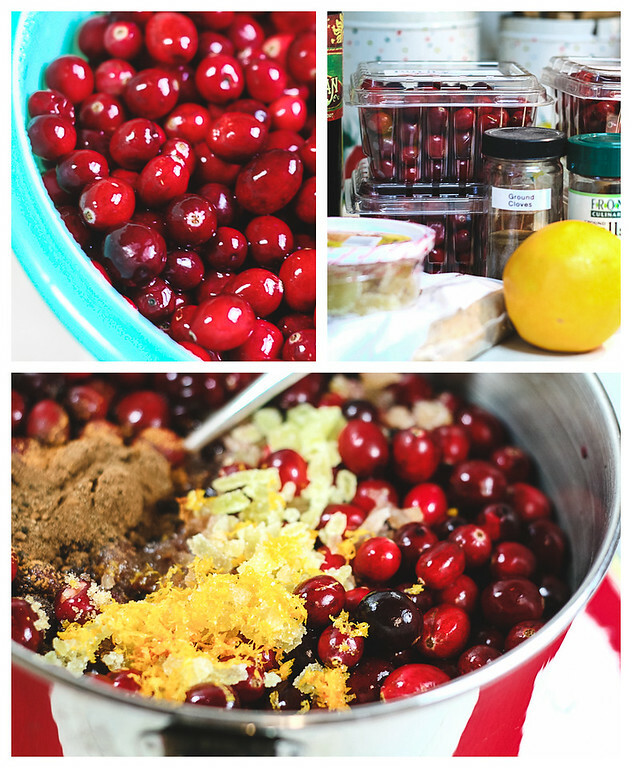 One thing that definitely doesn’t change is this amazing homemade cranberry sauce! I’ve been making it since 1999 when I first saw it in the November 1999 Bon Appetit magazine. Because doesn’t everyone need a little boozy red wine cranberry sauce in their life? The best part of this amazing homemade cranberry sauce? It’s so easy. The hardest part is zesting the orange and chopping the candied ginger. 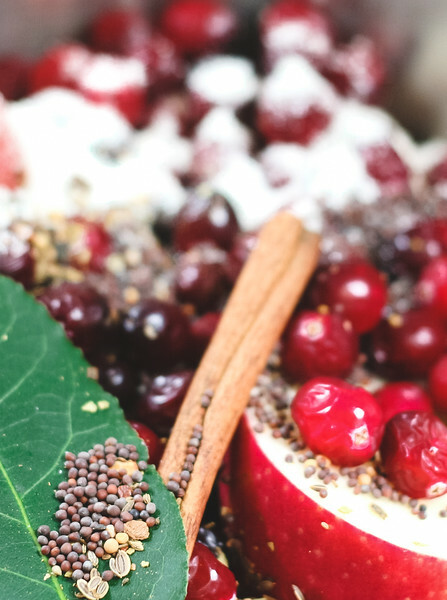 Once you’ve zested your orange and minced your candied ginger, gather the rest of your ingredients: cranberries, red wine, brown sugar, the candied ginger, the orange zest, cinnamon, allspice and ground cloves. Combine all that in a saucepan, bring to a boil and then simmer. Transfer to a bowl and chill. That’s it. That’s all that’s between you and this incredible cranberry sauce. I don’t know what it is that makes this so delicious! The wine? The candied ginger? Whatever it is, it’s magical. You know how cranberry sauce is usually a little garnish on you plate of food. Not with this homemade Cranberry Sauce. I have to make double and sometimes triple the recipe because everyone goes back for seconds and thirds and they want to take some home with them! Really, print off copies of the recipe, everyone will want it! 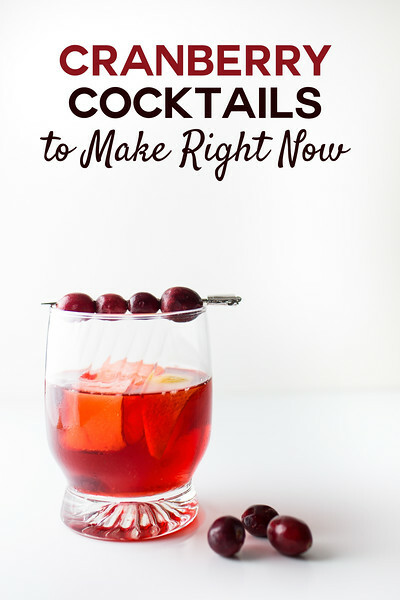 You’re going to love these Festive Cranberry Cocktails! 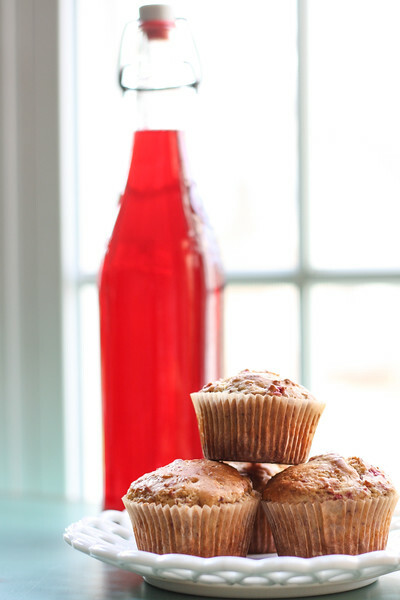 After you make the homemade cranberry liqueur, you’ll want to make these Boozy Cranberry Muffins. Another unusual cranberry sauce is this Apple Cranberry Chutney! 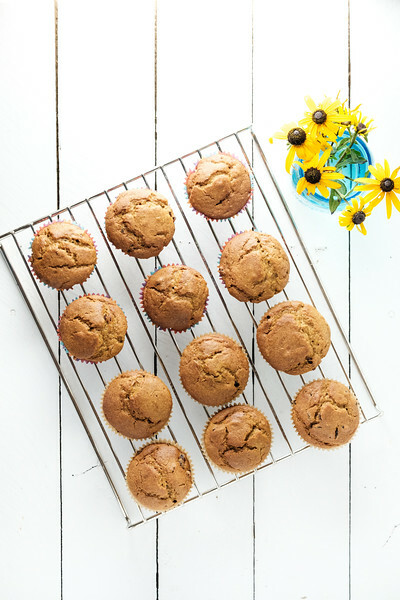 These Cranberry Pumpkin Muffins make a yummy alternative to pumpkin pie! Great for grab and go! This Mulled Cranberry Sauce with red wine, candied ginger, orange zest and other spices is sure to become a family favorite. Bring to a boil over high heat, stirring to dissolve the sugar. Reduce the heat to medium and cook until the sauce has thickened slightly, about 12 minutes, stirring occasionally. Transfer to a bowl and refrigerate until cold, about 3 hours. Can be prepared up to one week ahead. Update Notes: This was originally published in 2009 and has been updated for 2018. I love the sounds of this. I think I might top this years christmas pavlova with this. Thanks for the recipe! Oh my! What a timely recipe. Perfect Thanksgiving food!